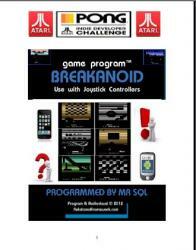 Breakanoid Arcade Action fun for the Atari 2600 - Order Thread! This game looks great. I'm definitely interested in it. Anyone have a cracked / full bin version they could put up as a torrent, so I could grab it and install it on my Harmony cart? OK, so how many of you read that and had their eyes almost pop out of their head? LOL! Obviously I'm just kidding. How do I sign up for a copy? Do you accept paypal payments? I am selling Breakanoid for $20 and it comes with four versions of the game each with many levels and a level editor (for windows) that will allow you to edit the colours and level designs to create your own Breakanoid games! 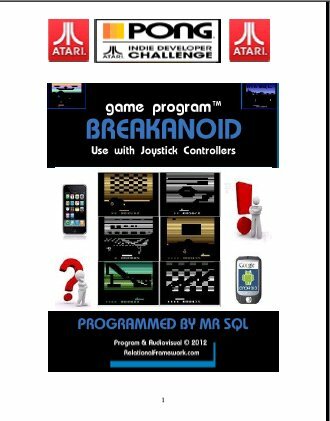 Note: Breakanoid was recently entered in Atari's Developer Pong challenge contest and now includes the official Atari instruction manual and setup guide from the contest as well! Analog rotary dial support (regular Atari paddles) yet? no? Or never?